Shortly after taking office as the new Electricity Minister, Jesse Chacón made a big pledge: he would resign from his post if his 100-day plan did not achieve its proposed goals. The 100 days have now ended (if weekends and holidays are included in the count) and it’s time to review if Chacón has delivered on his promise … or if he should step down. 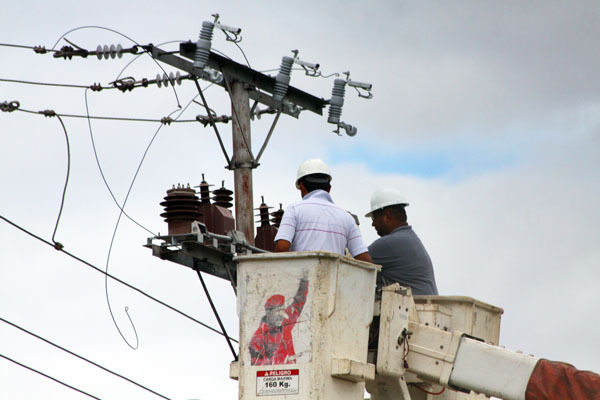 Chacón believes he has succeeded in some aspects: thanks to the incorporation of 1,380 megawatts to the national powergrid, the “electricity generation system has been stabilized”. Another claim is that interruptions have been reduced by 45% in comparison to last year. He also announced a future change in the entire rate scale, to be implemented after the 8-D local elections. According to him, “…some prices will go up while others will go down”. Finally, he has committed himself to include wind power ASAP in the national electric grid and he launched a new PR campaign, encouraging people to save energy. But it’s not much different from that of his predeccesor, with the exception of a new name and logo. So, has Chacón succeded in the end? Well, the fact that the “electricity emergency” has been extended by the government for another 90 days probably means that the answer is no. Blackouts continue to be an ordeal for many people around the country. Several states keep having daily interruptions, including Aragua, Falcón, Miranda and Zulia. But the worst situation is in Anzoátegui, where the blackouts there last from three to ten hours. Even Caracas (supposed to be an electric “safe haven”) is suffering more blackouts than ever before. The situation in the capital has already deteriorated since early this year. Things are not better inside the national electric company (CORPOELEC). Workers’ unions are opposed to the State’s invervention of the company (as part of the emergency decree) and they have threatened management with a strike. But the government released a special regulation which could consider any possible protest as a “sabotage against the national electric system”. So, what’s the government’s “emergency” for? Could it be, perhaps, for buying overpriced power plants?